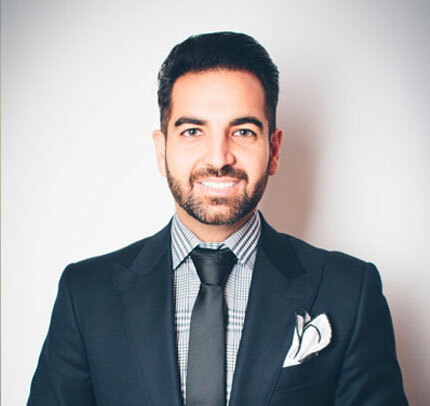 Dr. Joshua Ghiam of LA Smiles Dental Spa, specializes in the highest quality Cosmetic Dentistry in Los Angeles. 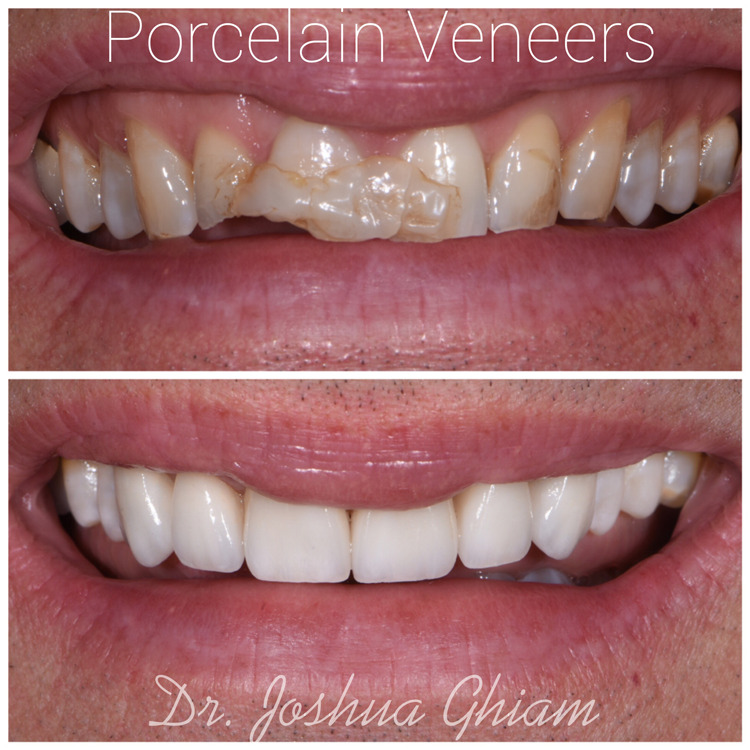 Dr Ghiam specializes in the placement of high quality Porcelain Veneers which are custom designed and hand made. Following a strict Ethical and Patient centered approach, he makes sure each and every one of his patient's concerns are thoroughly addressed and detailed smile makeover treatment plans are created for each patient. 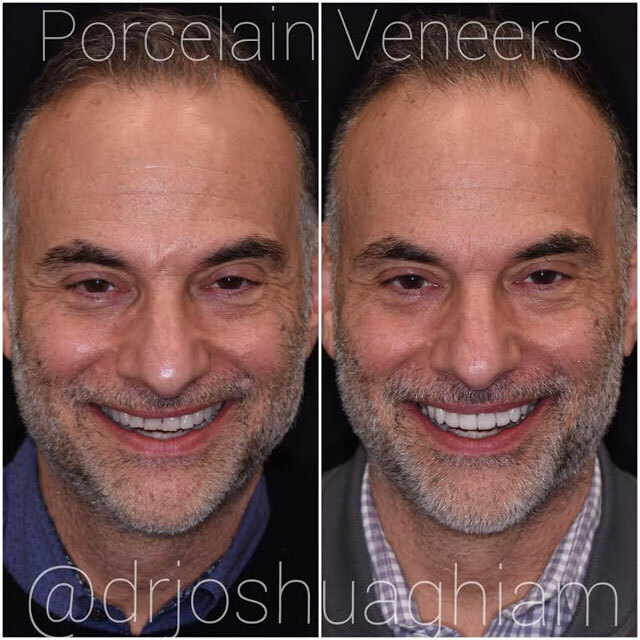 Dr. Ghiam’s expertise in Cosmetic & Aesthetic Dentistry allows him to custom design each smile and perform all treatments on an individual basis and no two smiles are created equal, extreme attention to detail is always utilized to mimic natural teeth in order to create beautiful and natural smile enhancements that last for many, many years! We go above and beyond the ordinary dental experience. Being a Cosmetic Treatment Office located in Los Angeles, we make sure our dental practice is environmentally friendly using state-of-the-art digital imaging technology, as well as providing metal and mercury-free restorative options for all cosmetic dental procedures. I highly recommend Doctor Joshua Ghiam and his staff. He is the best dentist in Los Angeles. I have been seeing him for a few years now and I will continue to see him. His staff greets me with a friendly smile and I never wait more than 5 minutes before I am seen. Dr. Ghiam is extremely down to earth and spends the time needed to go through any treatment or any questions I have in detail. 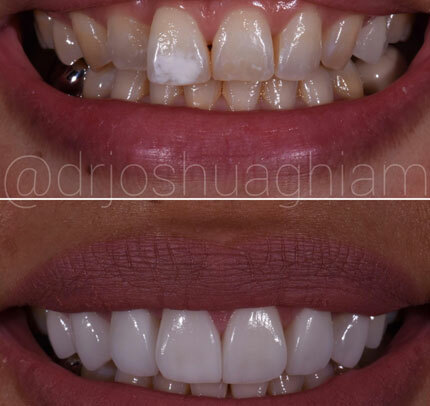 I have had veneers done on all my front teeth and had a few silver fillings that we cracked replaced, his injections were painless and he explained everything along the way. I have the most beautiful smile now. I even received a call from Dr. Ghiam the following evening to make sure my bite feels even and if I was having and discomfort, and thankfully I did not. 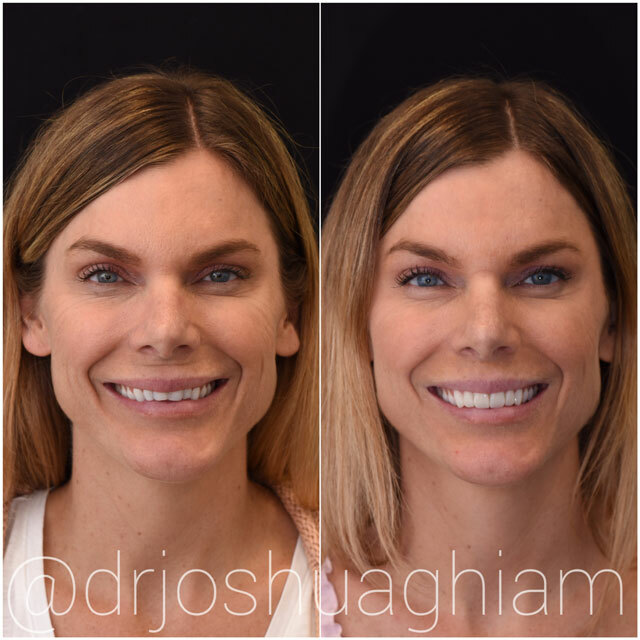 Dr. Ghiam does the best veneers in Los Angeles! I had a lot of pain on one of my molars. It was so bad I wasn't able to sleep at night. I had told my aunt and she referred me to Dr. Ghiam's Office. So i called and the lady who answered the phone quick made my appointment. I was able to be seen the same day! Dr. Ghiam and his team analyzed my damage and crafted the best plan to repair it. And he made me feel like I was a partner in every decision every step of the way. 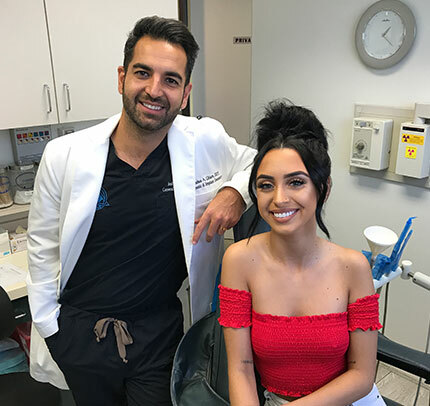 After having done a lot of research on local dentists in Los Angeles and after having met with many of them...I'm happy to say I made the best decision with the benefit of hindsight. Dr. Ghiam and his staff were remarkable, timely, and very fairly priced. I had eight veneers placed over the course of a week that look amazing, just look at my picture. 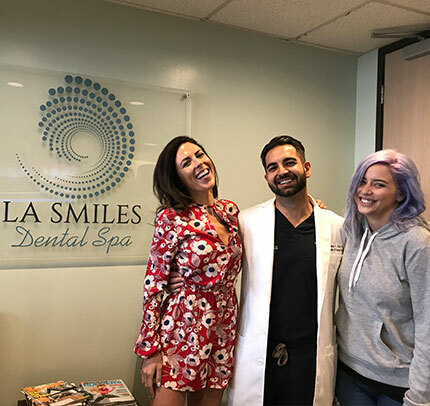 I give my highest recommendation to LA Smiles Dental Spa! I made an appointment online and was scheduled within a few days. I am a very busy UCLA student and this is extremely convenient. They take make insurance which is huge being that I am on tight budget. Fabiola in the front explained everything to me in detail and how my co pay and deductible works. I saw Betty for my cleaning. She was so gentle and diligent, and even went over hot brush and floss. I then saw Dr Ghiam for my check up. He went though my x rays with me on modern digital screen. I have these white spots on my teeth that a previous dentist have always wanted to cover up with veneers. Dr Ghiam recommended I first try a treatment with a special paste, which reduced my white spots drastically. He is an extremely conservative and ethical doctor and I appreciate that. I will see him over the course of six to monitor my progress.